Renishaw's new vision measurement probe for use with the REVO 5-axis measurement system on co-ordinate measuring machines (CMMs), increases the multi-sensor capability of REVO by adding non-contact inspection to the exisiting touch-trigger, high-speed tactile scanning and surface finish measurement capability of the system. The RVP probe will be demonstrated at IMTS at booth E-5509. For certain applications, non-contact inspection provides clear advantages over traditional tactile probing techniques. Thin sheet metal parts or components with large numbers of holes as small as 0.5 mm, and parts which are not suited to tactile measurement, can be fully inspected with the RVP system. RVP also gives exceptional improvements in throughput and CMM capability by utilizing the 5-axis motion and infinite positioning provided by the REVO head. The RVP system consists of a probe and a range of modules that are automatically interchangable with all other probe options available for REVO. Data from multiple sensors is automatically referenced to a common datum. This flexibility means that the optimum tool can be selected to inspect a wide range of features, all on one CMM platform. When using RVP, part illumination is provided by integrated programmable LED lighting inside each module. Background feature enhancement is also available using backlighting combined with custom part fixturing. 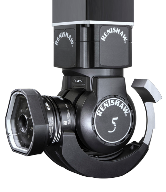 The RVP system is managed by the same I++ DME compliant interface as REVO and full user functionality is provided by Renishaw's MODUSTM metrology software. New MODUS vision software capability includes RVP configuration, image processing with application specific options and automatic image storage for review and further analysis. For additional information, visit renishaw.com. How fuel efficient is a commercial airliner? A Boeing 747 burns approximately 5 gallons of fuel per mile or a total of 30,000 gallons (98 tonnes) on a flight between London and Hong Kong - a significant cost for an airline. The honeycomb seal-ring is an extensively used component, which has been proven to optimize the fuel efficiency of aero-engines, but the measurement of these seals present difficult engineering challenges. 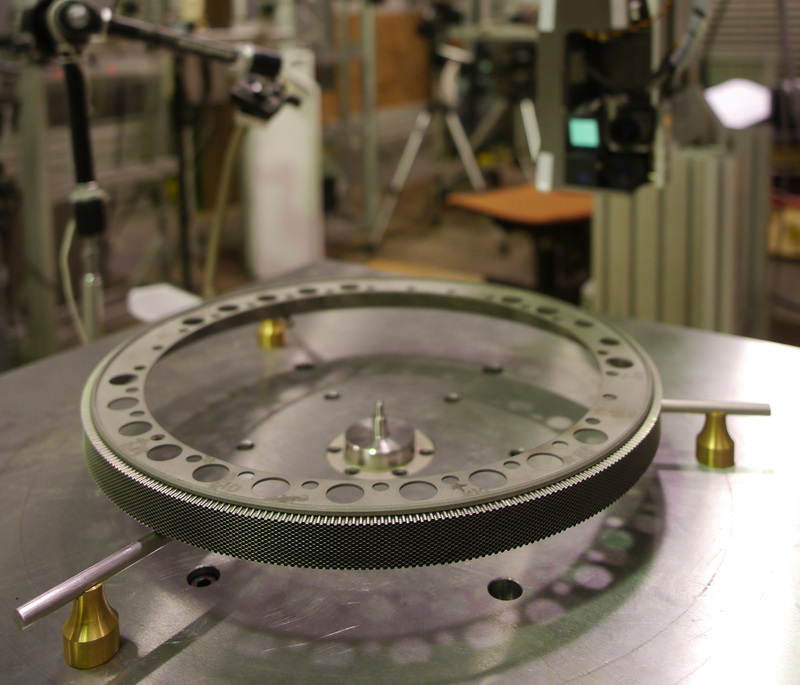 Now, HAESL believes that it has successfully solved this challenge by incorporating Renishaw’s TONiC™ incremental linear and rotary (angle) encoders within its new optical Seal Ring Measurement System (SRMS).